While the celebrities strut their stuff on various red carpets this month, we thought we’d hand out a few awards of our own. Welcome to the very first Best Facial Hair Awards. The envelope, please! Jake Gyllenhaal’s mountain man beard might be long and bushy, but he keeps it combed, expertly trimmed and healthy-looking. When dealing with facial hair at this length, maintenance is key to avoiding an overgrown and unkempt nest full of woodland creatures. There’s nothing worse than a man with barely-there eyebrows. But most Bollywood stars suffer from the opposite problem – overly large or bushy eyebrows. Saif Ali Khan's Agent Vinod looks right - an Indian James Bond, impeccably dressed and styled. 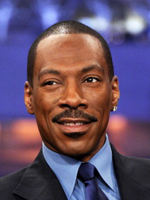 While Tower Heist won’t win the Oscar for Best Picture, Murphy’s finely trimmed chevron mustache deserves an award for the way its angular shape balances out his oval face. 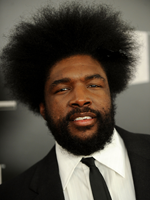 If you’re going to sport a voluminous afro) lead and grow a full beard to help balance out the look and avoid looking like you’re wearing a hair helmet. His beard emphasizes his strong jawline, anchoring his incredible hairstyle and bringing the entire look together. There’s nothing worse than a man with over-plucked, barely-there eyebrows. 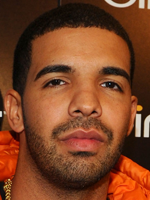 Drake’s thick but tidy brows properly frame his eyes, without looking overdone or overgrown. Gentlemen, don’t forget: There should be two. 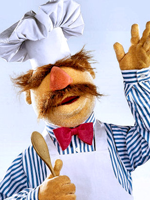 You might not understand what the Swedish Chef has to say, but his mustache is perfectly clear. The Chef’s ’stache strikes a delicate balance between his bulbous nose, gaping mouth and wild eyebrows. If you have large features, dainty facial hair will only serve to make things look larger. 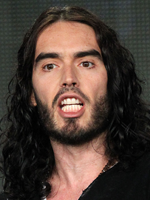 Breaking up is hard to do, but funnyman Russell Brand does it in style. His recent split from pop star Katy Perry has left him with a dastardly, pirate-worthy beard that gives him a brooding look -- an appropriate style for a recent divorcé, if you ask us. 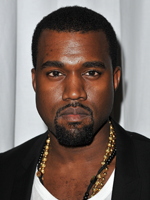 Kanye West keeps his mustache short, expertly trimmed and narrow to avoid adding weight between his nose and lip. Instead, he turns the focus to his goatee, which emphasizes his strong chin and jawline. When you’re a rock ’n’ roll icon). When you’re a smooth soul singer, you need facial hair that will complement your gentlemanly style while upping your game. 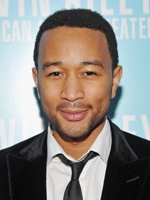 John Legend’s perfect short stubble adds a dash of roughness to his boyish face -- but not enough to scare off the ladies. 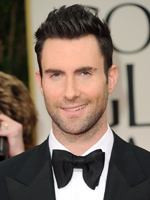 Maroon 5 front man Adam Levine has perfected the art of the stubble -- and that’s the problem. It’s almost too perfect. Stubble is meant to look accidental, to sport an air of, “I woke up looking this good.” Levine’s stubble is so evenly trimmed and shaped that it appears overworked. 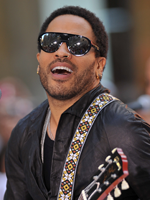 He could use a lesson from Lenny Kravitz. When teenage girls proclaim their undying (undead?) love for you at every turn, sometimes you need to don a disguise just to get a little peace. Nothing can change your look quicker than a beard. 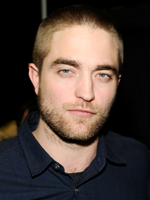 Unfortunately, Edward’s -- I mean, Robert’s -- beard looks awkward on his boyish face and drains away his usual good looks. A perfect disguise, indeed! Whether you’re unemployed, underemployed, fearful of a layoff or just bored with your job, at some point you’ve probably thought about starting your own business. And like most people, you’ve probably been held back by a host of concerns: whether your idea is good enough, how to get funding, whether you can live without vacation and medical benefits, whether you even have the chops. Now, there’s one more worry to add to the mix: whether it’s crazy to start a business in the wake of a recession. Here’s the good news. First, all entrepreneurs face those same fears on the road to building a company. Second, many Fortune 500 corporations, including Procter & Gamble, IBM, General Motors and FedEx, were founded during a period of economic uncertainty. “If you launch your business during a difficult time, you know what you can do on a lean basis,” says James King, state director of New York’s Small Business Development Center. Then once the economy starts to bounce back, he says, you’ll be well-positioned to succeed. We asked King and Rex Hammock, founder of SmallBusiness.com and CEO of the custom media and marketing firm Hammock Inc. -- based in Nashville, Tenn. -- what it really takes to stop working for the man and become your own boss. Tip No. 1: Seek input. For starters, you should run your business concept past a few impartial observers before pouring your whole self into it. “Family and friends are not going to give you an honest answer,” says King. And even if it is a great idea, you must remain open to the possibility that your better mousetrap simply might not catch on. If that turns out to be the case, adds King, be prepared to adjust and compensate. Tip No. 2: Check yourself. Feeling ready? Put yourself to the test. This online quiz, created by the Small Business Administration, will help you ascertain whether you truly have the drive, perseverance and skill set you’ll need to see your business succeed. Even if you don’t, the SBA offers tips on how to build those credentials. Take advantage of this advice before diving in. Tip No. 3: Go it alone. The simplest approach is a start-up with you as the sole employee. Says Hammock: “For consultants, contractors or freelancers, the opportunities are many. Companies are using contracted services to fill in gaps in their workforce.” Being an independent contractor often means you call your own shots and name your hours and fees. The downside is loss of vacation and medical benefits -- though there are ways around that. For medical coverage, seek out programs offered through industry member organizations or groups such as the Freelancers Union. You may have to forego vacations for a while, but once you have a solid client base, you should be able to afford a few weeks of unpaid leave. Tip No. 4: Find financing. How? Get your ducks in a row by putting together a solid business plan. If you’ve never written one and need direction, avail yourself of the largely free assistance of organizations such as the Small Business Development Center (or SBDC, which maintains help offices in every state in the U.S.). The better prepared you are, says King, the more likely it is that the major financial institutions will work with you. Another prospective source of financing is credit unions, which picked up much of the small-business lending slack when big banks put on the brakes in the aftermath of the global financial meltdown. Depending on the amount of funding needed for your venture, you can also seek economic support from friends and family, from so-called angel investors or from venture capital firms. Finally, King advises that you raise or borrow enough money to provide your fledgling company with adequate cushion funding. It may take you longer to turn a profit than you expect, and you don’t want to be left penniless mere months in. Tip No. 5: Don’t super-size. Tip No. 6: Beware of the competition. When you do start to grow, competitors will likely appear where none existed before. “Someone else is going to try to replicate your success,” says King. He recommends going back to your business plan and adjusting it to respond to the new conditions. This will help you stay a step ahead of any changes that could affect your bottom line. Tip No. 7: Focus on the right components. The smaller you are, the more you’ll be building your new company’s reputation on the basis of two essential factors: quality and service. “Trying to compete in an arena where price is the only factor in your clients’ purchasing decisions is a train wreck waiting to happen,” says Hammock. “If you can help a customer or client be better at something they want to be better at, you’ve cracked the formula for long-term success.” In other words, make your clients look good, and you’ll look good too. And if that prospect doesn’t have you thinking about punching in your current job’s time card for the final time, nothing will. Easy to get lost on your CV will be scary, but when it comes to resume into the hands of a company to one that is difficult to correct the error. Avoid such errors in a critical condition, so we made you very usual, wanted to inform you about the major errors. Even if that does not require a highly developed ability to post messages to the position you are applying for, make careless errors in spelling, and no one shows that you prefer to keep one of the executive team does not like. Never rely on your computer and your eyes may not have control of spelling errors, in order to find errors in your resume to someone else Scan two definitely. Reading aloud the written grammar errors can occur, there is an error if you do not hear pleasing to the ear. 20 words why your business görecekken 5 words that use it? Companies, do not wait for you to describe everything that you have made earlier in your life, a few important things to explain, to show he can do the job will be enough. Instead of using redundant sentences by a long shot the attention of companies collect points. To fit each situation, if the stereotypical prepared a resume, edileceksinizdir neglected by companies. Each company presented its position, a curriculum vitae and a letter of intent beklentisindedir suit. Job vacancies offered by each company will differ from each other, instead of your CV for this position would bring to the special requirements of small changes that have to do. Show them that you understand exactly what is required of you. Responsibilities imposed on you instead of the previous business, are there try to find a way to show what you have achieved. All the roles in your business that you may not be expressed in numerical data, but the companies never just sitting there as you do not pay a salary. He's always something to have you add to the company. Activities that lead to time saving, new procedures, consider performing a successful campaigns and sales performance, and on occasion rise to what extent they do not forget to percentages of increases. One of the potential for your company that you are worth to be called a job interview with two pages on A4 size is sufficient to convince the bread. People are busy people who will review your resume and career five or six pages to read an article about the timings of your date is. Preparing a CV, the line spacing drop enough to make it easier to read as much as possible, make sure that all departments had left a significant way, and only include information that will kapman?za work. Your eyes will be even less visible than probably anything. Some people just prefer it because they forget or can not add to the previous Bios of some jobs, it seems as though the work will cause a gap in your life. What you are doing at the time to guess, since your boss will think the worst of all. Whereas you, even if you work at that time, in working life will increase your chances of winning may have special features. 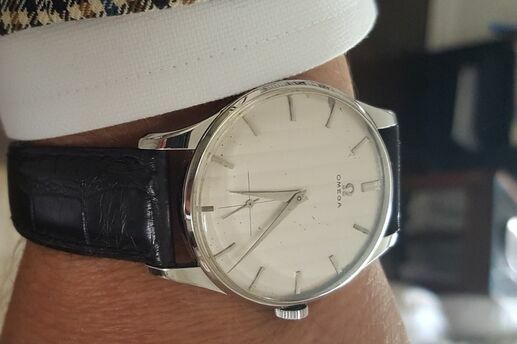 "Very well do I contact a", "The most important distinguishing features in the very best since the team Çal? ?mamd?r", "'m a committed", they prove the information is there if sunmad?? ?n?z "Kem, sand, evil, the sand," as you write it will not be much of a difference. If the rest of your resume in our achievements listelemi?seniz effectively, it has already proven that you'll be qualified. If you feel the need to use these phrases must, indeed, at least contact that you have shown success. For example, "Communication skills to set up a customer data base and used it to ensure the continuity of it," you might say. "Professional will help you progress in a difficult position am in search of" ineffective sentences reads as it would mean nothing. Both them and the company must present something special to suit your needs. For example, "In the beginning vas?flar?m? personal progress and give me experience in working for a charity foundation looking for a marketing position," you might say, for example. If you reference the designer, the content of your resume the second phase of the design. If you design your resume if you have an absurd, and each paragraph consists of various sizes and shapes of the characters, so it hurts a reader's head is. You just need a clean design and a white-on-black text, so much overdo it. Scan two others that your resume before sending it to the necessary places, companies do not leave a bad impression. Do nothing, but that does not return a great resume? The reason for this may be a very simple, for example, typed the wrong phone number! Now e-mail is a communication technology is more widely used, this may not be a huge problem, but still e-mail address and home address, make sure you typed correctly. If you have an e-mail address if you like pastasever@myhouse.co.uk, more professional-looking resume, use e-mail. Layoffs are through the period, or perhaps the company declined to collective redundancies. In any case, you are among the lucky. Most of your friend or your family on the contrary, the unemployment office kablolunuzu shutting down or you do not have to deal with - for now. But instead of sitting at your desk so smug yourself what you can do to make yourself indispensable to consider (?imdi!). Having a job is not a civil right. The company that makes herkesetkilenebilir savings. Is not the time to be comfortable. The good news is, there are many steps to get your position to provide. And who knows? Maybe even get promoted! If you want to be the last person you should consider when dismissal, 10 ipucumuzu follow. Do you have an idea about how to reduce your company's expenses? For! Whether you get the printer to save paper, whether it be a great idea as replenishing your supply chain, showing the time to understand the essence of the management of work. Plan to implement a great trust in you and your dedication in making the savings will come to appreciate. No one wants to work with a negative one. Never. And especially under these circumstances. I already hear plenty of bad news, and frankly it really b?kt?lar. So the state of the economy, rising petrol prices, or focus on what is positive instead of complaining kay?nvalidenizden. Share job-related success stories. Be optimistic about the company and focus on steps you can take to create a positive impact on the future of your company. Jobs can not be so bad for you. One of those who were still there, remember? I'm not saying that you stay until midnight. In fact, do not miss out, even conversations. I want to say is that you have, be prepared to stay at work until the job is finished. Work in the past 5 o'clock, before completing a thing (in the morning and finish the thought he) may have moved. Now, to finish the job at work, spend the extra half hour or an hour is better. In addition to work 15 minutes before you come to prepare for that day. Time for the computer to open the meeting 9'daki no you do not want to be that person seeks. You do not have the title of the administrator, but this does not mean pretending davranamayaca??n?z. To be the leader, is to help others. Means to see the big picture. Developments likely to express, not only for yourself and your position, your company and its objectives are to observe. Firms need leaders. Currently, you need a need. If you have the qualities of leadership, now is the time to expose them. News spread quickly. Especially intriguing news. If you if you heard, the administrator must have felt. If you also play a role in the process of dissemination of news, if the administrator has probably become aware of it. Although the office gossip may seem attractive not let you pull into the. It now becomes a part of which is not allowed, acquires enemies and become a non-professional one. If you insist on one to tell you something, do not tell it to someone else. Although sometimes it is not the workplace, such as high school (thank God!). The results of office gossip, taking out the invitation to a birthday or missed a much more serious. You have everything you would need to do your job. This is very clear. But the reason to be a member of your team's skills are more valuable geli?tirmeyesiniz? Or make your business better? Faster? Maybe your company is with the basic knowledge of HTML or Photoshop, more sections may be responsible. Regardless of your industry, to always be improved. To acquire additional skills that will transform you an indispensable employee was a period of extremely favorable. You can do this by doing a low level of spending. Night course you do not have enough funds to meet, get a book (or borrow it from the library!) Or get private tutoring via the Internet. Once you've mastered all the skills you choose to give a seminar on the team can offer. You have a leader! Think of it as bad it sounds strange but a family of colleagues. After all, you spend the day with eight hours of work for more, and you are connected to each other at least tolerate each other more than to have a chance. Adaptation is the key to success, now more than ever. Then the years, infrastructure and interests, and leave aside differences about how to effectively communicate with your teammates learn kurabilece?inizi. It is not only for the continuity of your company, you must do for the continuity of your company. All those personal phone calls to your employer did not notice you're supposed to? Or all the time you spend on Facebook or Twitter? Think again. Employers usually give much importance to it than you think. And if they think the times çald???n?z? easily by phone, e-mail or the Internet are able to check records. This is no time you'll careless about personal ileti?iminizle at work. Depending on where you work, the occasional phone call or a quick lunch molan?zda may seem normal for one or two e-mail to send. However, each side of your desk when your employer Gmail'deyseniz, is looking for trouble. A?r?yorsa throat stay home. Sister is getting married? Let's take a few days off. I'm not saying take the old permit. But the more notable reasons to get permission to use a spade, especially the way to cut your company. To the hangover that day, saying that patients do not take time off from work or a long, extravagant vacations do not (at least until the road works). Sounds good, but a week's holiday in the Bahamas when you lack a business is not good at all. Humility is a good feature. Of course, except the time of economic recession. Up late working, helping others and / or are developing new and important ideas, someone (your mother, someone else) make it to the difference. Inform about progress with your manager on a regular basis. E-mail sent to your accomplishments on a weekly or even a summary of a half weeks will be sufficient. Do not say this to brag, you provide only to know what you are working on. The fact is: if you own düdü?ünüzü öttürmezseniz öttürmez others. A way to pass a day in summer, you'd expect with longing, "radiant" Does not he know to come on holiday? Or, to escape the city this summer and the warm sand, blue sea, far away, a vague dream for you to surrender? Süremiyorsan?z enjoy a long summer vacation, instead of getting caught pessimism can search for ways to escape the city with existing facilities. The time constraint for those who are different, and "close" vacation options, we asked the experts. Only a weekend, or even a day away from the city, even, body and soul to holiday mode, so can provide a major contribution to relaxation. Cafe Tour travel agent's office in Istanbul ?a?k?nbakkal Berfu Uluba?, around Istanbul for a quiet weekend Polonezköy'ü suggests: "If you are a night stay in our recently opened chic boutique hotels to choose from. However, even for day visitors, a breakfast to be alone with nature Polonezköy'de great blessing. " Uluba?, Agva The traditional favorite of all time, and Sile excursionist popülerle?ti?ine thoroughly in recent years is remarkable. Accordingly, in the summer and faced the crowd, especially on weekends, visitors to these areas, cautions. If your goal is an ideal place for a short ride in a swim and sunbath bulmaksa, one of the candidates most suitable for you Kiyikoy. Uluba?, "Black Sea coast and the sea a bit cold though K?y?köy'ün clean and pleasant," he says. Pronto Tour, who served as domestic sales and operations officer in the Pinar Beekeeper, Istanbul, near the sea, an ideal that can be entered as one of the places on the Black Sea ??neada'y? still takes precedence. Vacationers are usually preferred for a quiet and peaceful holiday ? ?neada'ya Istanbul is very easy to transport, Catalca-way through the 1 hour and 45 minute car ride from the Palace you will find yourself ??neada'da. Given that you spend time each morning to get your business, this is quite a reasonable period of time. Hiking, trekking, camping activities you enjoy, such as; Kartepe, Sapanca and Masukiye three suitable alternative. A long and romantic shores of Lake Sapanca, hiking, horseback riding Kartepe, Ma?ukiye After collecting fresh alabal?kla energy can hike the trails. "You get a place close" to those who, Istanbul, located very close to the first destination that comes to mind Islands. Which candidate is going to choose, especially during the summer months is of great importance. Our experts, suggests a relatively more peaceful Heybeliada. Enjoy the beautiful countryside of the island you can rent a bike more. "But," says Uluba? and adds, "but his breath and trust in the roads of hilly cycling kiralamal? Halki. You may be sweated under the heat, you can regret you came!" North of the Anatolian side of Istanbul, Poyrazköy Sar?yer on the European side of the village Garipçe tranquility, fresh fish and the deep blue sea of ? ?seekers may prefer other alternatives. Yenikap? to darken the eyes of those who are fond bounds on her stomach jump a ferry, and to taste the famous Bursa Iskender kebab can be passenger. After the meal, to observe the history of Bursa will be waiting to discover step by step. Respiration, and the comfort your heart and breathe the air of a city to another. None of this does not fit you or uyand?ysan?z late that morning, for example, as a last resort you can take the nearby pond. Most of the hotel or sports centers, admits that a certain fee per guest. Yourself to the sun by the pool, spreading the moment you close your eyes, moving away from the city and the traffic you will feel in a moment. Discovered the importance of high-rise buildings do not always have pressed for the limited spare time, the concept of the weekend for you, perhaps escaping from the city will become synonymous. Day in day out all the alternatives listed above can of course there are different plans. Up to you to find and remove them.